Closeouts. The ultimate in luxurious comfort, Woolrich’s Blaize slippers feature a supple elk leather upper and a plush, genuine shearling-lined insole. 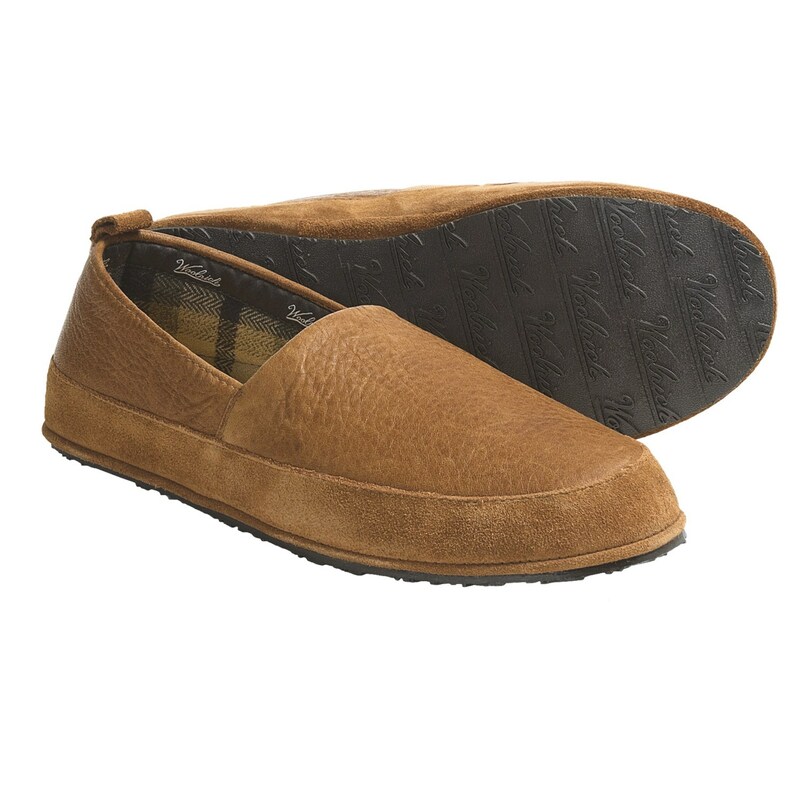 These cozy moccasins also have a durable indoor-outdoor traction rubber outsole.